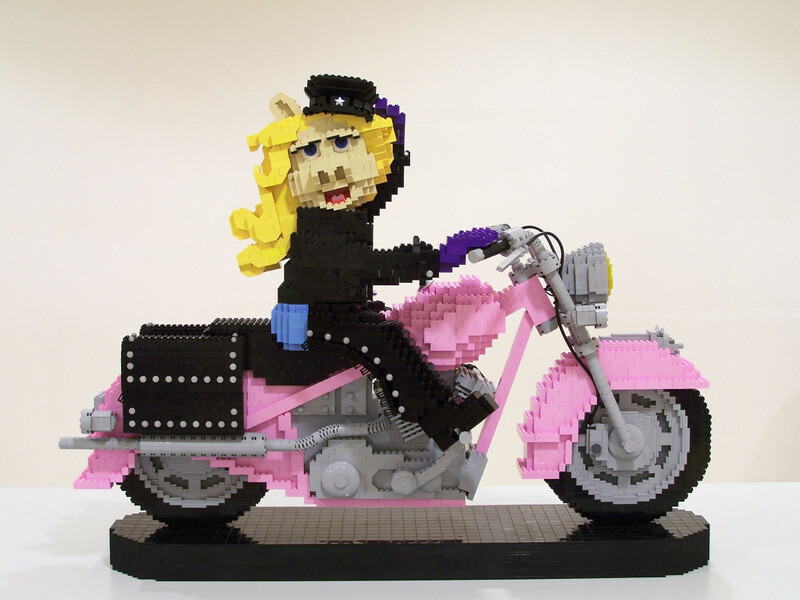 Brickshelf user Elex presents a sculpture of Miss Piggy on her motorcycle measuring 104 studs wide and 65 bricks tall. 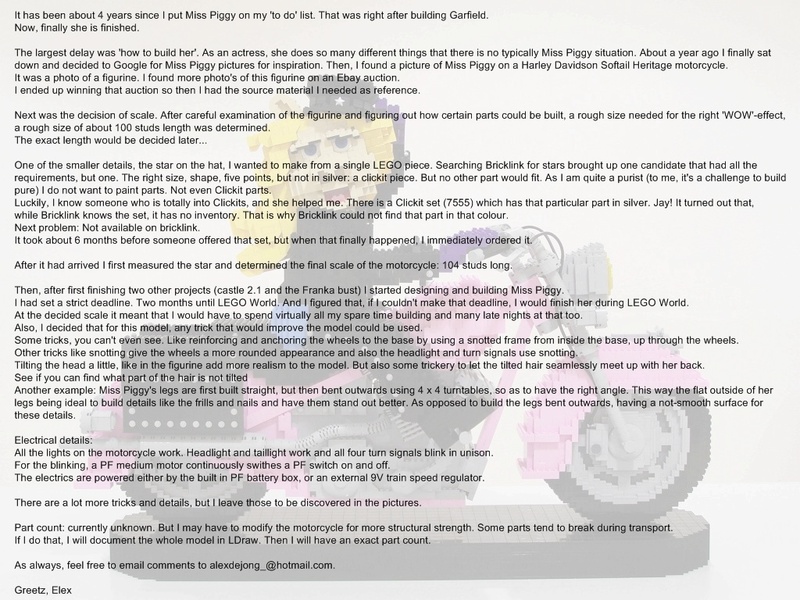 There’s a commentary page and a well-documented construction journal with detailed photos showing the building process. This is the most pink I’ve seen in a fan-built creation. This is one of the best creations I’ve seen in a long while. The brick-built wheels are one of my favorite details. I have the figurine this is based on, and Elex’s model is spot-on.